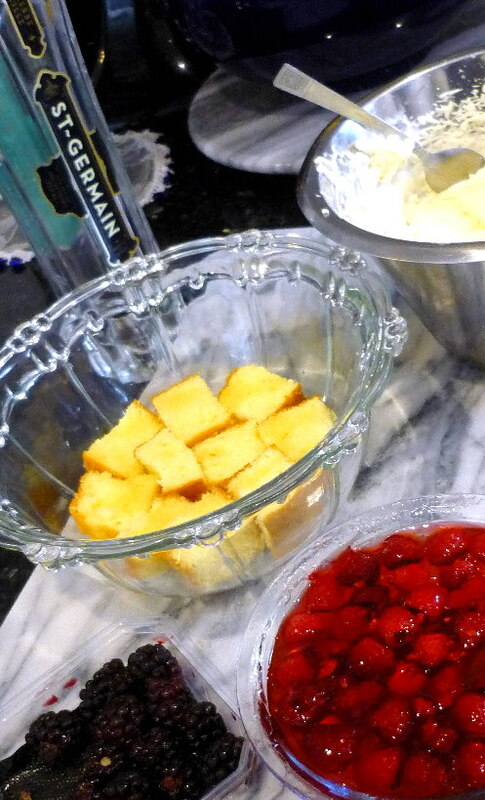 Cut the sponge cake into small pieces and add to the base of a large glass bowl. 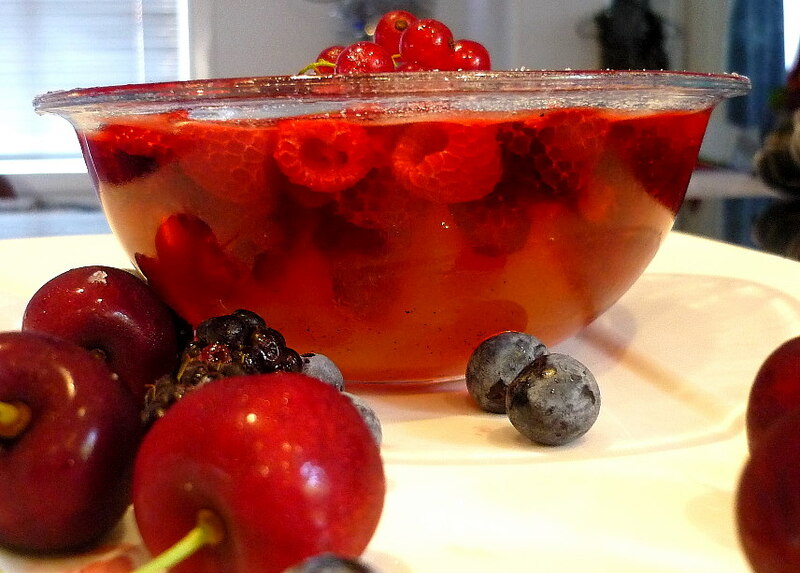 Sprinkle with liqueur and add a layer of berries. Add mouthful sized spoons of jelly, pressing it to the outside of the bowl so that it looks like a stained glass window. Next add a layer of custard, then another layer of sponge cake sprinkled with liqueur. Continue the layers until your bowl is full. 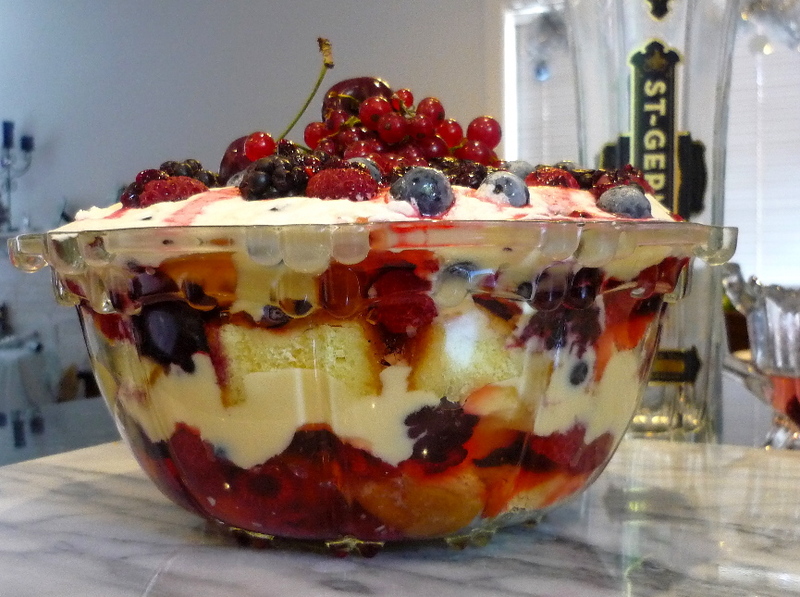 Finish the trifle with a layer of cream topped with fresh berries. Allow to chill overnight before serving to allow the flavours to develop. A very simple yet delicious trifle is White Peach and Vanilla Trifle: Make a simple vanilla jelly, using plain gelatine, vanilla beans and lemonade. Poach white peaches in Galliano vanilla-infused syrup. This looks very pale and pretty and is a gorgeous elegant dish when made in individual serves in glasses or glass bowls. For true decadence – Choc-Cherry Trifle: using a cherry jelly, chocolate sponge and chocolate custard, topped with toasted flaked almonds and drizzles of dark chocolate. Best when made into individual serves. Valentines Trifle – Raspberries, strawberries, Port wine jelly, and rich custard infused with brandy.